Join us at the Firebird’s Oxford debut! The next concert is our Oxford debut and features a symphony by the great Austrian composer, Josef Haydn. Nicholas Keyworth takes a closer look at his time as Kapellmeister with the wealthy Esterházy family where Haydn spent most of his working life. From 1761 Haydn began working for Prince Nikolaus Esterhàzy where, as Kapellmeister he was in charge of their musical activities which included composition, running the orchestra, playing chamber music for and with his patrons, and mounting operatic productions in the theatre the Prince had built at Esterháza. 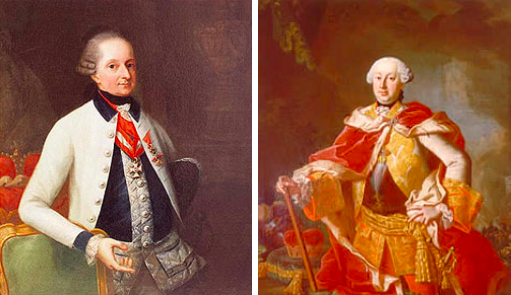 Prince Nikolaus and his son Prince Anton were musical connoisseurs who appreciated and supported the development of Haydn’s work. During the nearly thirty years that Haydn worked at the Esterházy court, he produced a flood of compositions. 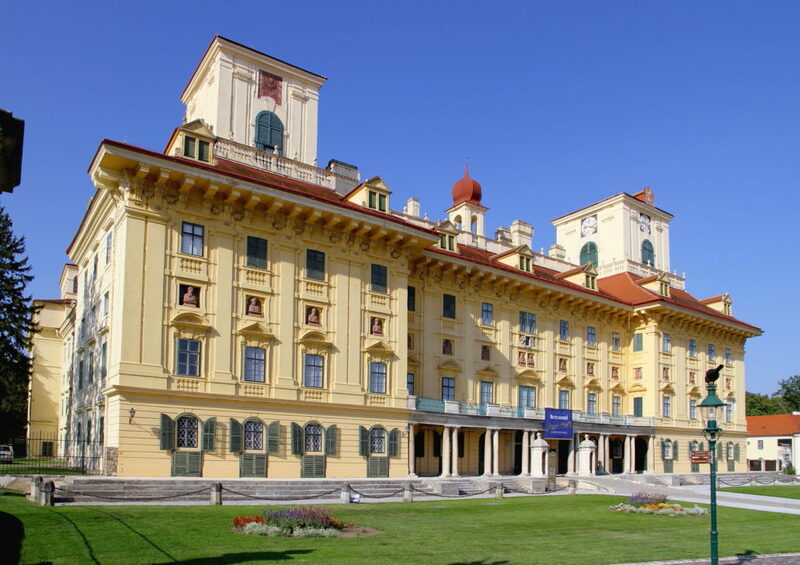 Haydn wore livery and followed the family as they moved among their various palaces, firstly at the family’s ancestral seat of Schloss Esterházy in Eisenstadt. But towards the end of the 1760s, Prince Nikolaus built a grand new palace in rural Hungary at Esterháza. The remoteness of the Esterháza estate isolated Haydn from other composers and trends in music so that he was, as he put it, ‘forced to become original’. In 1779 Haydn renegotiated his contract. Previously, all his compositions were the property of the Esterházy family, he now was permitted to write for others and sell his work to publishers. This enabled Haydn’s music to be circulated much more widely. In 1790 Prince Nikolaus died. Prince Anton sought to downscale the lavish expenses of the court but retained a nominal appointment with Haydn at a reduced salary of 400 florins, in addition to a pension of 1000 florins from Nikolaus. This enabled Haydn to travel more widely and when a lucrative offer arrived from the German violinist and impresario, Salomon to visit England and conduct new symphonies with a large orchestra, the next chapter in Haydn’s career was opened such that Haydn’s fame rocketed to become the most celebrated composer in all Europe. Hear Haydn’s magnificent Symphony no. 103 ‘The Drum Roll’ in From London to Vienna in Oxford. https://www.londonfirebird.com/wp-content/uploads/2017/02/Prince-Nikolaus-and-Prince-Anton-Esterházy.png 295 511 London Firebird Orchestra https://www.londonfirebird.com/wp-content/uploads/2015/10/firebird11.png London Firebird Orchestra2017-02-03 20:25:082018-05-11 14:38:48Join us at the Firebird's Oxford debut!